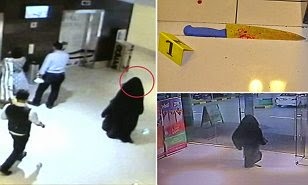 American teachers in Abu Dhabi were warned that jihadis were threatening to kill them just weeks before a 47-year-old was stabbed to death in a mall by a burqa-wearing murderer. According to MailOnline, Ibolya Ryan, a mother of twin 11-year-old boys, was left dying in a pool of blood by the murderer after what police said was a 'brawl' in the toilets of a mall. Detectives today released CCTV footage which showed how the suspect - whose gender they say they have not confirmed - lay in wait for the teacher for an hour. It suggests strongly the attack was a targeted murder. 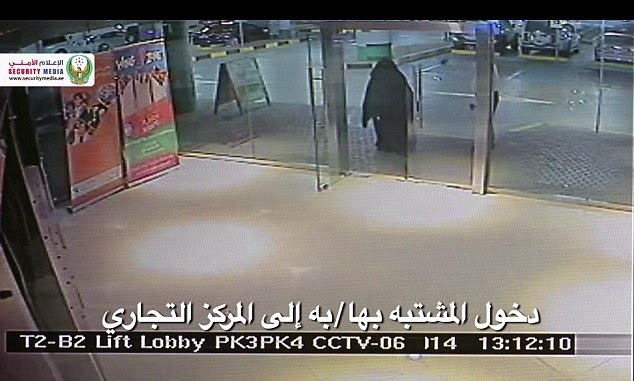 As security guards rushed to the scene of the killing, her attacker calmly got in an elevator and walked out into the car park. The assailant - who police believe could be a man wearing a burqa - left behind the weapon, a large kitchen knife. 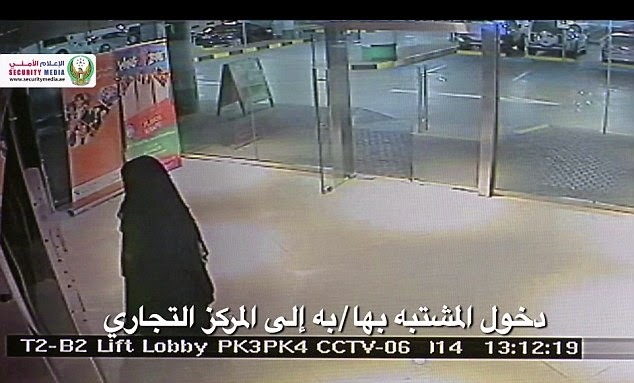 The CCTV footage establishes that the woman spent at least an hour apparently waiting in the toilets of the mall. She entered the mall from the car park at 1.12pm, and a minute later was on the mall level where she got out of the elevator where she approached a security guard. After apparently asking for directions - there is no audio footage - she moved towards the restrooms, picking up a free newspaper on the way. An hour and a half later she left the toilets - at precisely the time people are scene reacting to the horror. 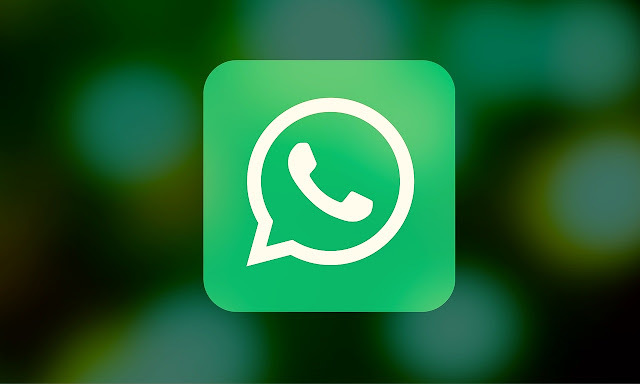 In a statement, the US embassy listed extra precautions for US citizens, saying they should avoid crowds and places they did not know previously, and 'minimize their profile in public'.